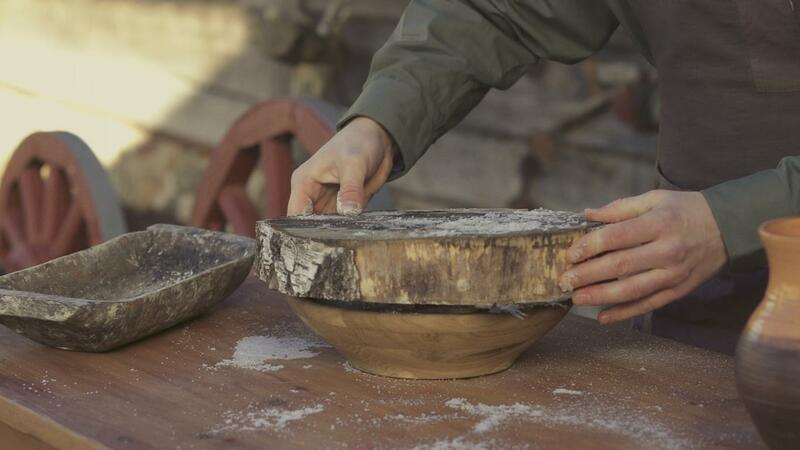 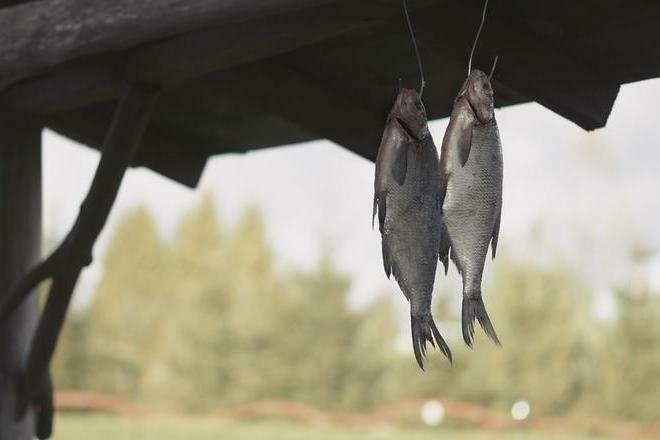 The simplest way of fish preparation is drying. 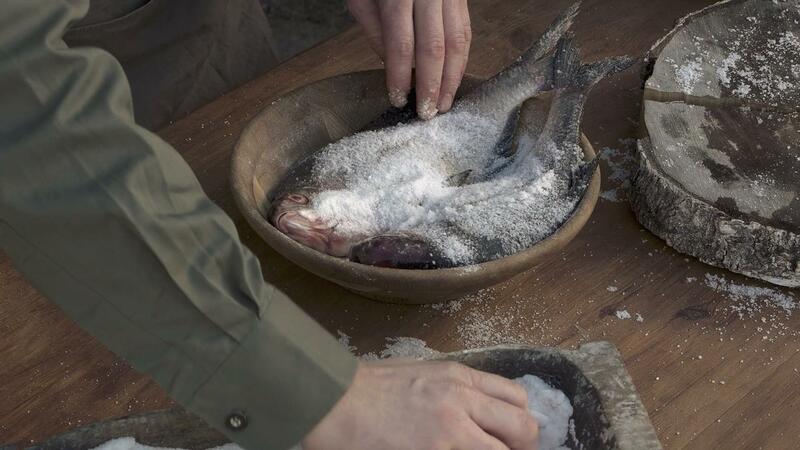 The caught fish should be firstly washed, drained, but in no way shaved or gutted. 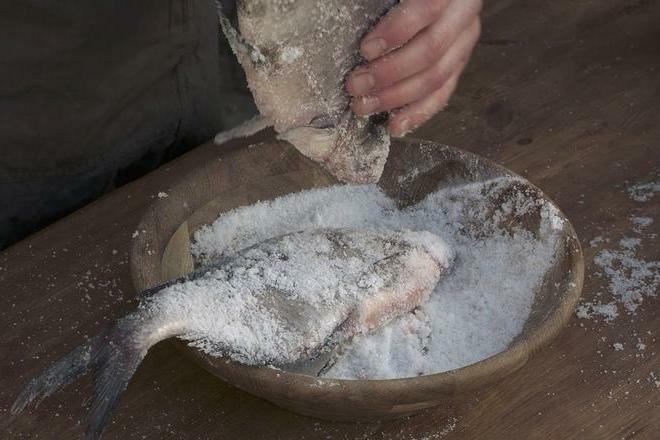 It is salted. 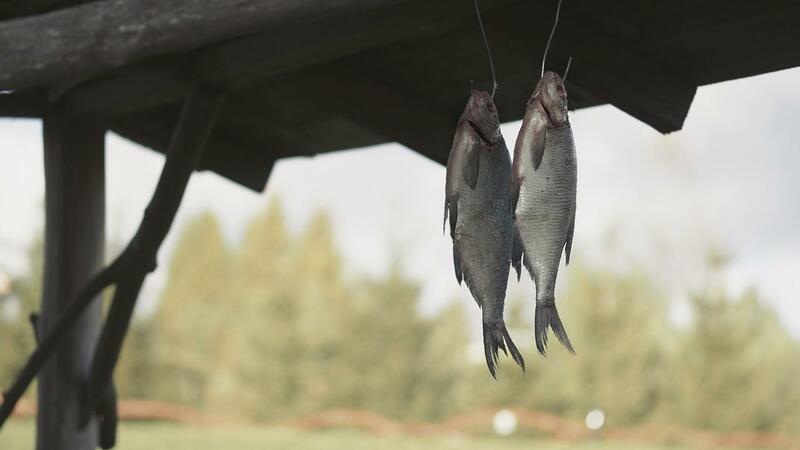 Finally, it is hanged in a dry and well-ventilated place. 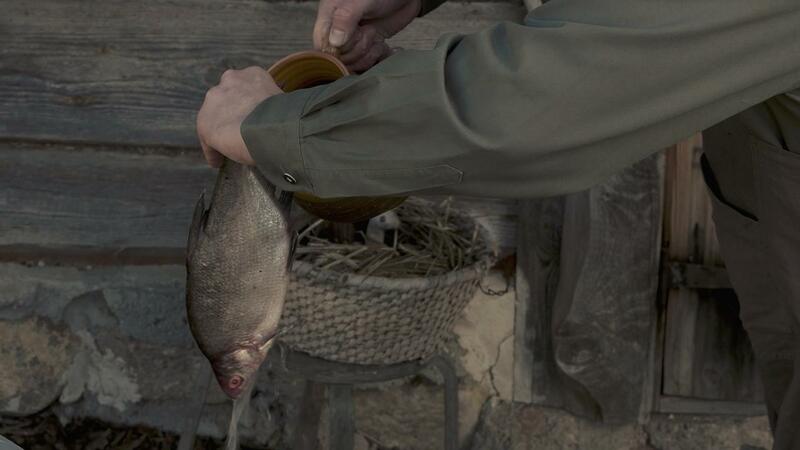 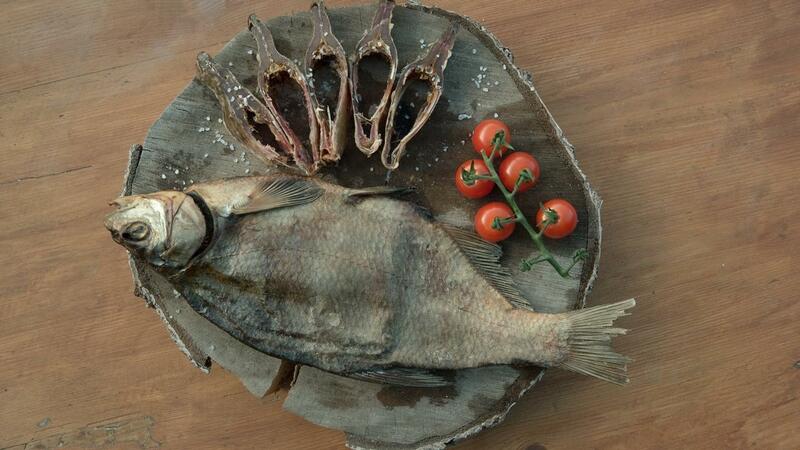 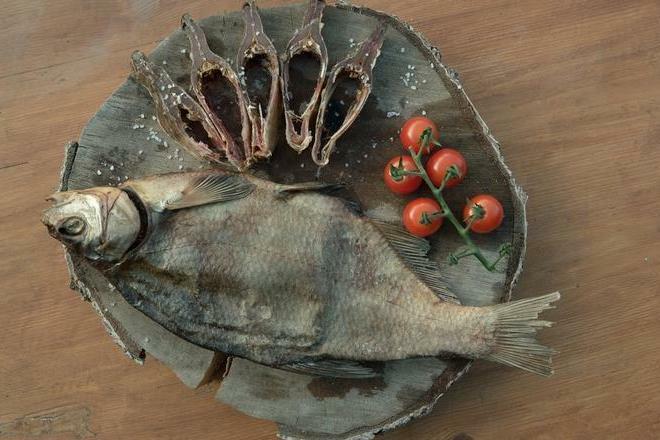 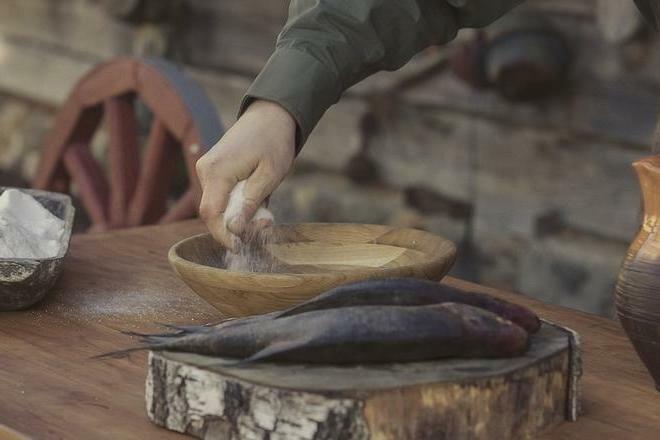 The fish is ready to taste when scales start to peel off when it dries. 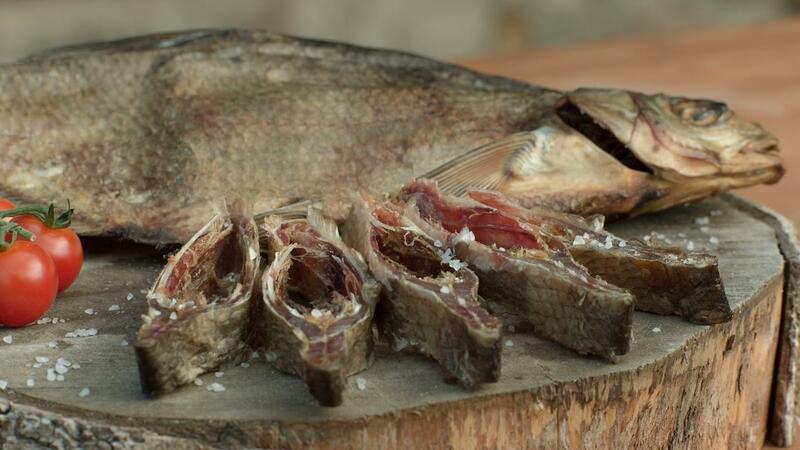 The dried fish must be peeled off from its tail to head just by ripping fish skin with all scales. 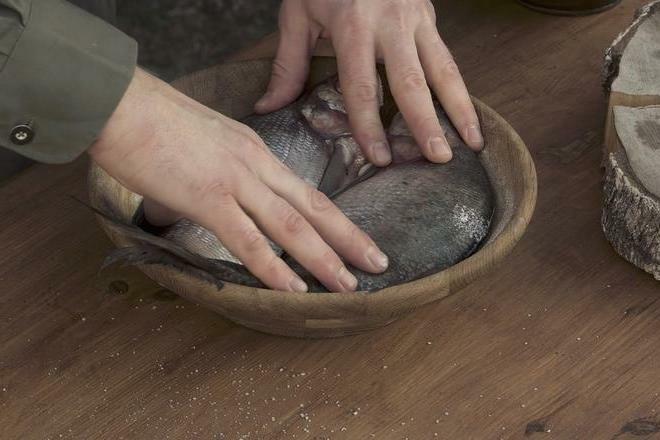 Rinse the fish thoroughly, drain and leave it untreated and unpeeled. 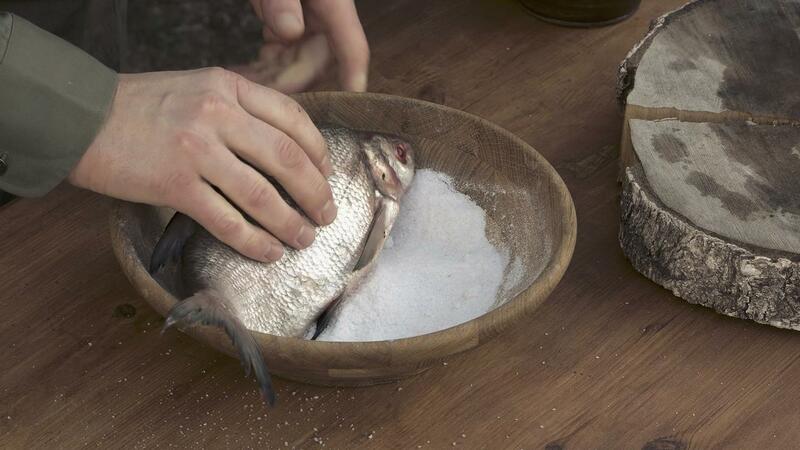 Put the prepared fish in a bowl and add salt - about the volume of the fish. 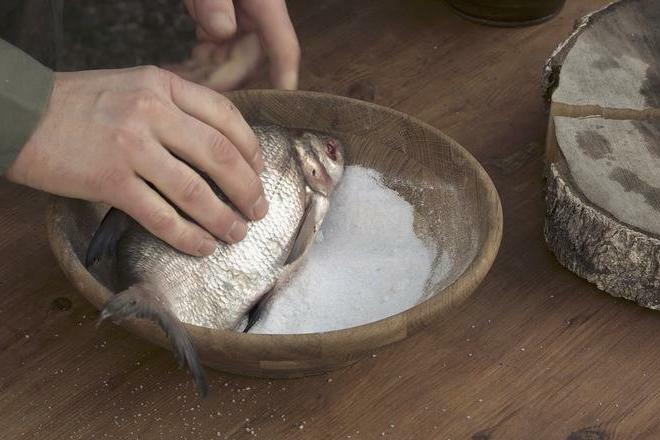 Put the fish in layers: sprinkle the bottom of the dish with salt, put the fish on it, and sprinkle salt again. 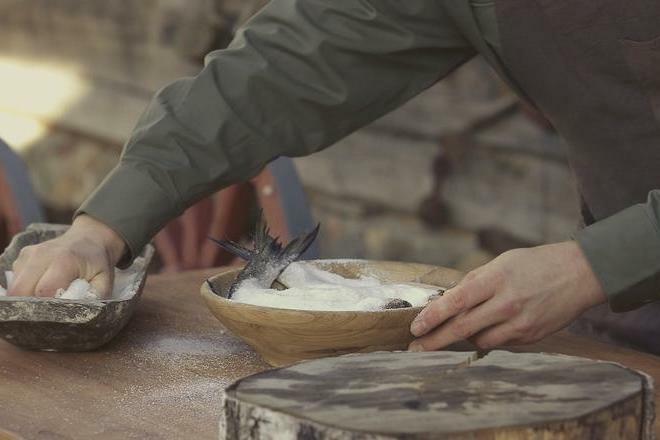 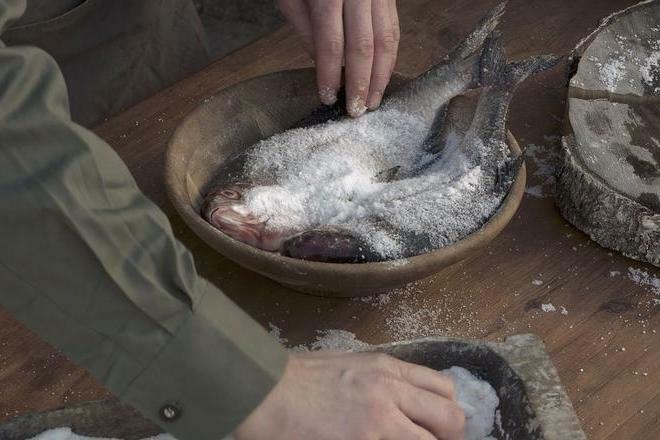 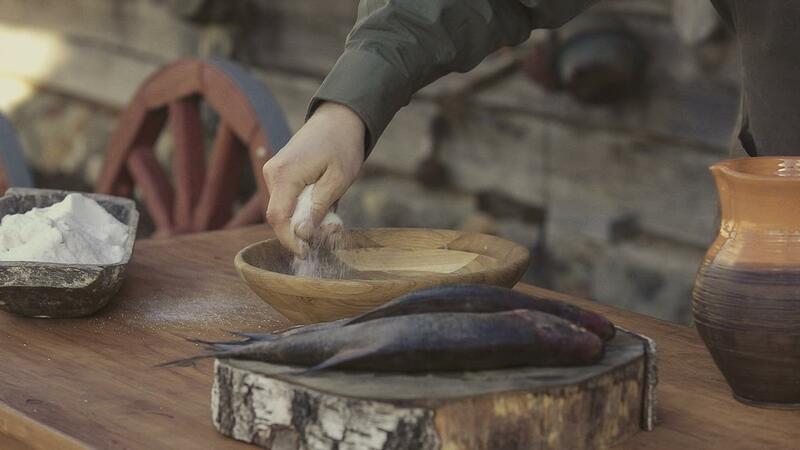 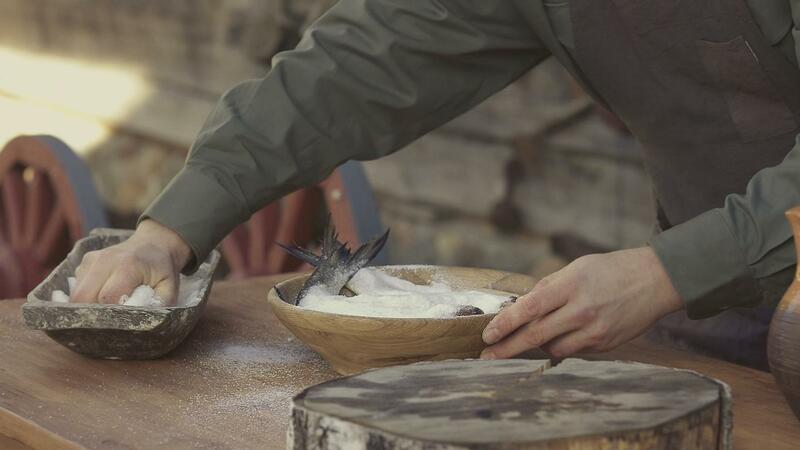 Sprinkle the fish, folded in layers, with the last layer of salt, squeeze with a wooden spatula and leave it for 2-4 days. 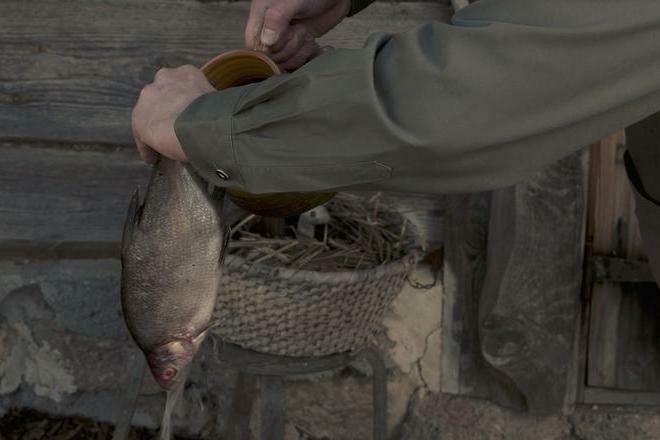 Leave small fish for a shorter time and larger fish - for a longer time. 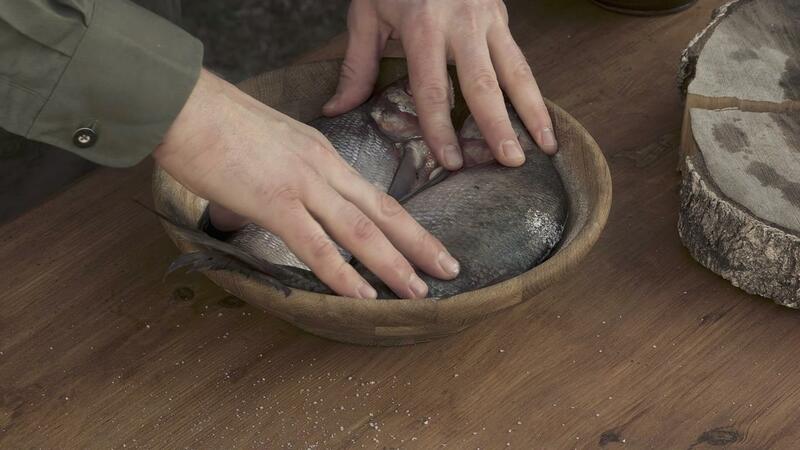 Then remove the fish, rinse with warm water, drain, squeeze again and leave again for 2-4 days. 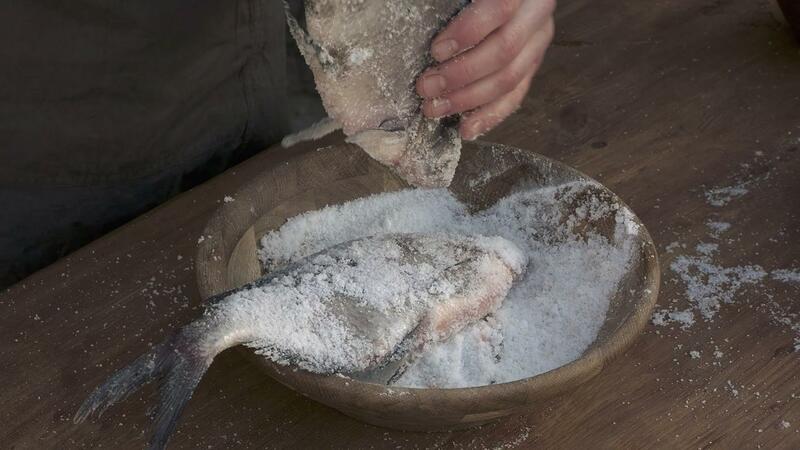 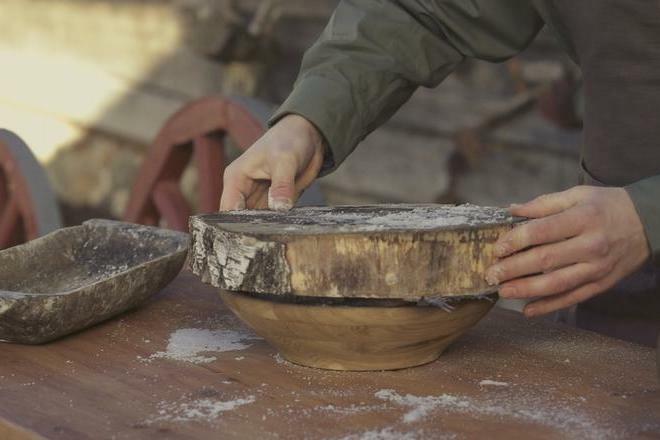 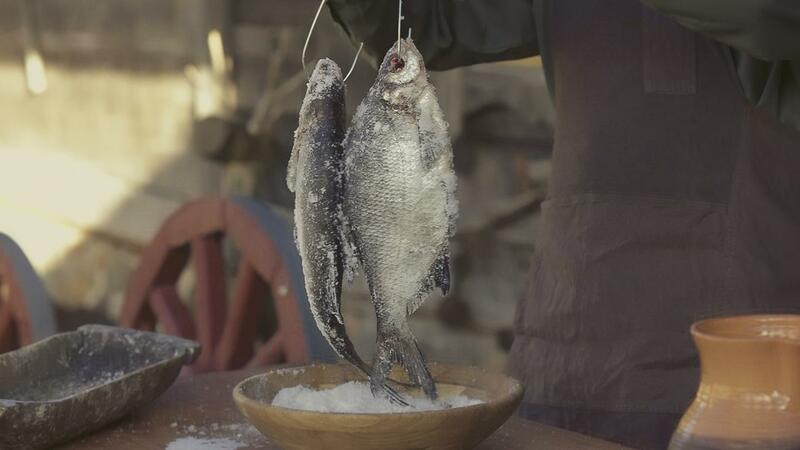 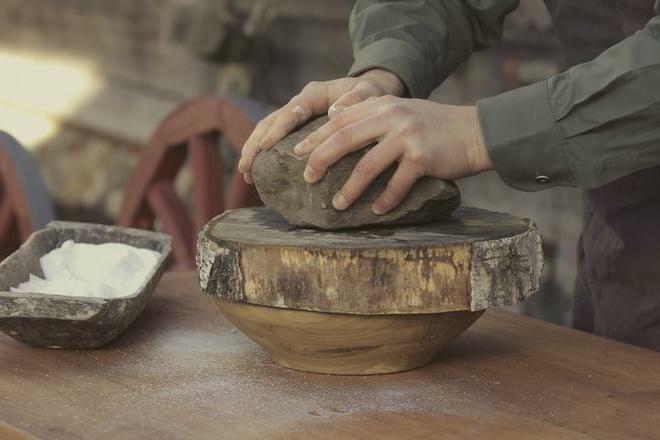 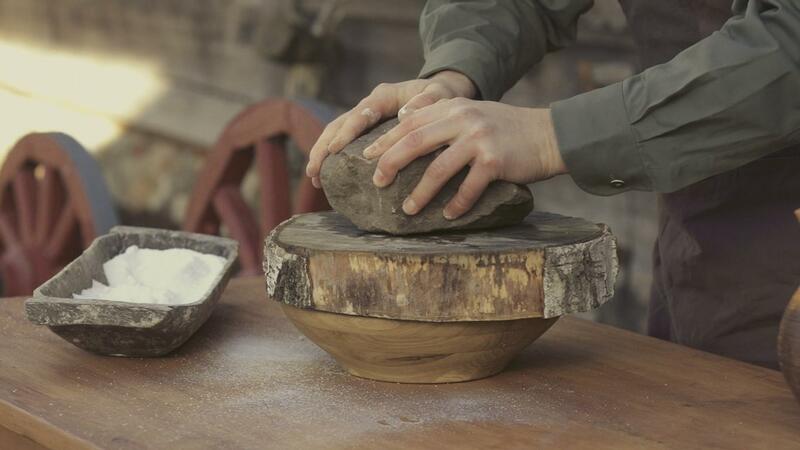 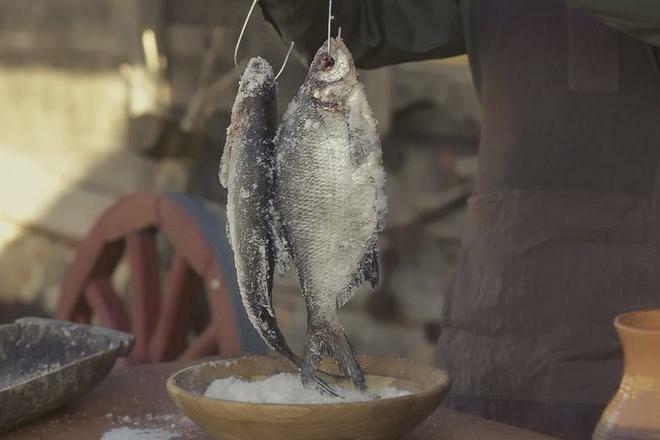 The first salting is necessary in order for blood to flow out of the fish, extraneous smells, and the second one - to give the fish a salty taste. 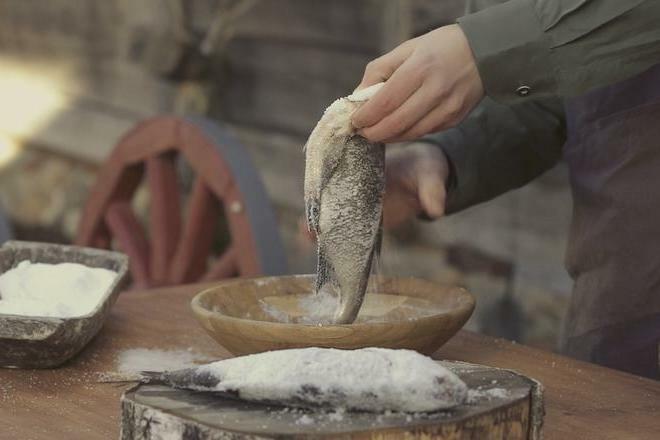 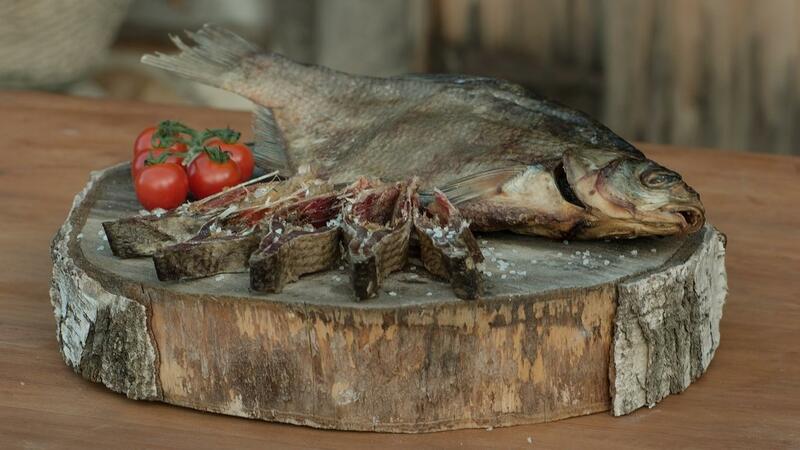 Remove fish after the second salting, rinse, dry and hang in a dry and well ventilated area, away from direct sunlight. 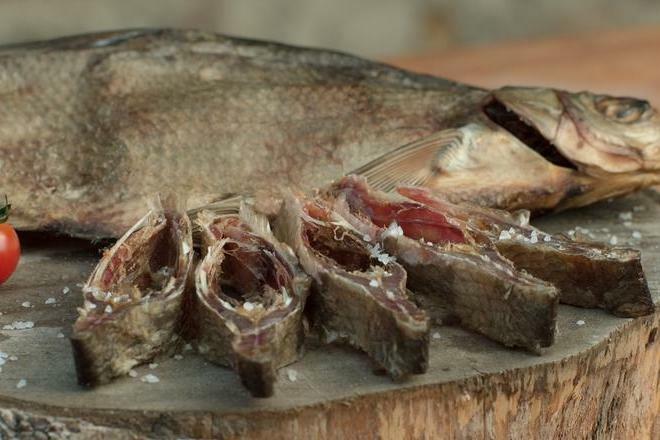 Fish can be consumed when the scale begins to peel off. 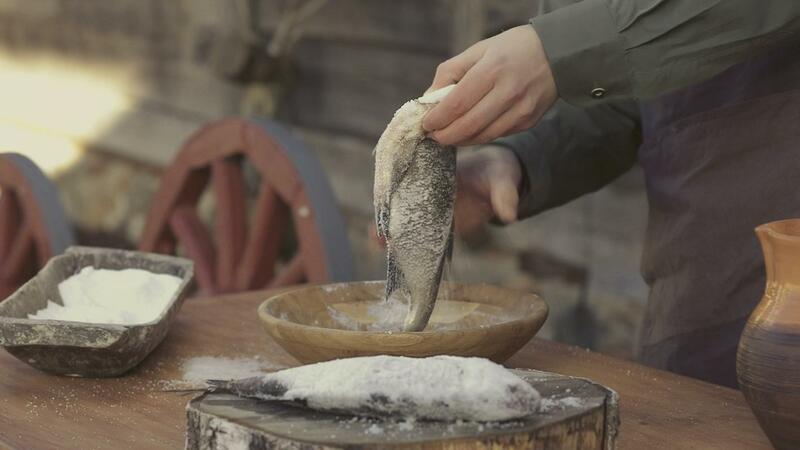 It is recommended to dry small fish for ~4 days, and larger fish for ~10 days.